We understand that the world of financial services can be a complex area. Having a financial plan that continues to evolve with you, helping you to move towards achieving your financial ambitions and goals, can make a significant difference. Whether your goal is retirement planning or protecting and preserving your wealth, our expert Wealth Planners will take the time to thoroughly understand your financial ambitions and goals, your attitude towards risk and any concerns you may have. From this, we will provide unbiased and objective advice and recommend a financial plan that can continue to evolve with you. Our wealth planning services are available from our regional presence across the United Kingdom. Why not learn more about how we can help you and your family? Christy joined WHIreland in 2009, and has over 13 years’ experience in financial services industry. 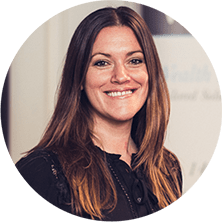 Christy leads the Financial Planning team, which consists of planners and support based in various locations throughout the UK. 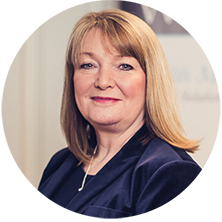 Christy takes the compliance standards and ethical responsibilities of her team very seriously to ensure wealth planning at WHIreland is providing the highest quality advice and ongoing service to their clients. The wealth planning team specialise in retirement, estate and tax efficient planning for individuals and their families. Zoltan has worked as an Independent Financial Planner for 30 years, he joined WHIreland in 2009. Zoltan is a Chartered Financial Planner and holds a fellowship of the Personal Finance Society. In order to achieve Chartered status you must illustrate that you have attained and maintain the highest and most prestigious level of academic attainment and professional achievement. It remains the "gold standard" of excellence and integrity. The Chartered status provides comfort and security for clients, serving as a benchmark for quality and ethical practice. Zoltan takes pride in building long term relationships with his clients and their family members, some he has been advising for over 15 years. He offers an individual tailored approach to all clients on every aspects of their personal or professional financial lives, be it; protecting their family or business, investing for schooling & university, retirement for both individuals and group schemes, estate planning and wealth preservation. Angela joined WHIreland in 2009, she has worked in the financial planning sector for over 25 years. Angela holds the diploma in financial planning. Peter joined WHIreland in 2017 with 21 years wealth planning experience. He holds both the CISI Chartered Wealth Manager and IFP Certified Financial Planner qualifications. 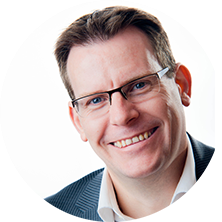 Peter thoroughly enjoys working with Directors, Entrepreneurs and Professionals to plan their route to retirement and financial freedom, ensuring that nothing is left to chance for these busy individuals running their own businesses and careers. 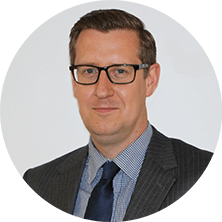 Having graduated from the University of York with a degree in Economics and Economic & Social History, Phil began his career in the wealth management industry in London in 1999. Phil has achieved both Chartered Financial Planner and Chartered Wealth Manager status – qualifications regarded as the ‘gold standard’ of excellence and integrity for the wealth management industry. Phil is a highly experienced and natural relationship builder and joined WHIreland in 2016 having previously worked at Barclays Wealth Investment Management and Coutts (in Manchester) where he provided specialist advice to high net worth individuals and families. 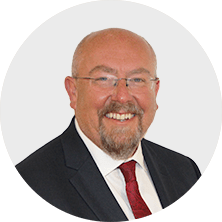 Phil’s focus is to provide tailored financial planning solutions to clients with particular focus on investment, retirement and estate planning strategies within tax efficient structures. 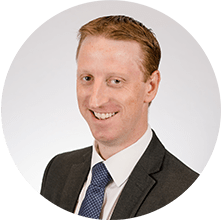 Robert is an Independent Financial Planner with over 15 years’ experience in the financial services industry after graduating from Bournemouth University in 2002 with a degree in Financial Services. He holds both Chartered and Certified Financial Planner status – qualifications considered to represent the ultimate symbol of professionalism. Robert has developed a strong technical knowledge with a particular focus on retirement and estate planning. He places emphasis on looking to build long-term relationships and delivering clear and concise solutions to help clients and their families achieve their financial ambitions. Jon joined WH Ireland in 2017 and has over 12 years of experience within the industry. 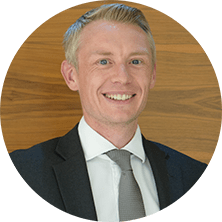 Jon has previously worked in technical roles as a Paraplanner and now supports the London team as well as being an Independent Wealth Planner. He has achieved a wide range of qualifications in the industry and is working towards his Chartered status and Fellowship of the Personal Finance Society. Jon has an in-depth experience in financial planning, investment management and also detailed knowledge of international retirement solutions such as QNUPS and QROPS. Jon’s aim is to work in partnership with you, not just for you, to develop a personalised and successful wealth management plan. Whether it’s investment management, cashflow planning, retirement planning, IHT planning or a combination these, Jon’s advice will help reduce the amount of time you need to spend on your financial affairs, putting you in control of your financial future and achieving the best life possible for you and your family. 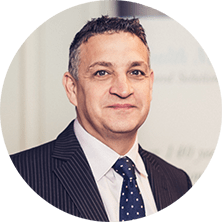 Born in Plaistow, Daniel is an Independent Wealth Planner with over 28 years’ experience in financial services which has included Director of Specialist Advice at Coutts & Co and Managing Director of an IFA business owned by a top 50 firm of Chartered Accountants based in East Anglia. Since graduating from the University of Kent at Canterbury where he gained a BA (Hons) in Law, Daniel has continued his professional development gaining both Chartered and Certified Financial Planner status as well as an Advanced Diploma in Financial Planning (AFPC, DipFPS) including Pension Transfer Specialism (G60).